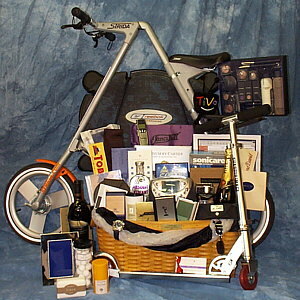 The Emmy 2000 Baskets were given to all the award presenters at The Emmy Awards, September 10, 2000. The Emmy gift project is produced by Sequoia Productions. The Emmy 2000 basket is designed and assembled by Terry August and her staff at FanciFull Gift Baskets.